If your WordPress website has been around for awhile then we suspect that it’s in need of some Spring cleaning. Is your website a bit slow? Are you updating plugins and themes that you aren’t using? What about all those post revisions in the database? Get out your broom and let’s start cleaning up this mess! 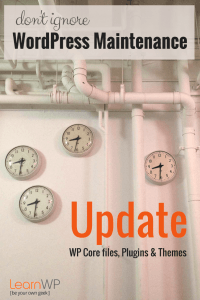 Update WordPress and all plugins and themes—you should be doing this on a regular basis! Delete any plugins that you don’t need. If there are plugins that you tried but didn’t stick with, deactivate and delete them. Do you have multiple plugins installed that do the same thing? Confirm which plugins are in use and then get rid of those extra plugins that you aren’t using. Some plugins only need to be used once, then they can be deactivated and deleted. This includes WordPress Import and Regenerate Thumbnails. Great plugins but, once you’ve used them you don’t need to keep them around. Remove extra themes. Make sure that if your active theme is a child theme that you don’t delete the parent theme. Keep the latest WordPress default theme as a fallback. Clean up your media library. Try to get in the habit of deleting those oops images right away—you know, those images that weren’t cropped quite right or were too dark. It may be hard to do this now but you can remove any you see in the media library that you know you definitely don’t need. Optimize all the images in your WordPress Media library for the Web with KRAKEN, a robust, ultra-fast image optimizer and compressor. The Kraken WordPress Plugin will optimize your entire Media library and improve your website performance. Read more here about optimizing WordPress images. Now that you’ve cleaned up the files, it’s time to address the mess hiding in the closet. WordPress websites store content in database tables. We keep putting stuff into the database but we rarely think about cleaning it up. 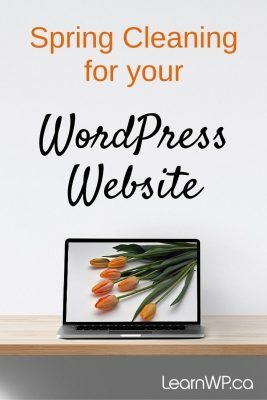 Your WordPress database will be filled with— Post Revisions, Transient Options, Comment Meta, Orphaned Terms — stuff you didn’t even know was there! A cluttered database will slow down your website’s performance. The plugin will show you what it is cleaning up and prompt you with warnings but it is basically a one-click cleanup. Once you’ve done your Spring cleaning, you’ll have fewer WordPress updates and your website performance may improve. Leave us a comment. 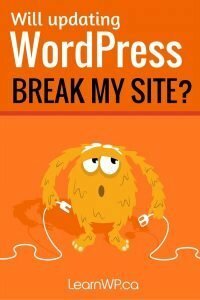 Let us know how clean up has helped your WordPress site. 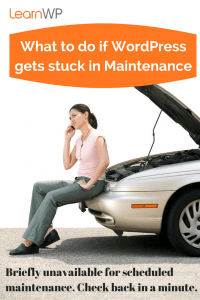 Once more I express my thanks for your WP maintenance emails. 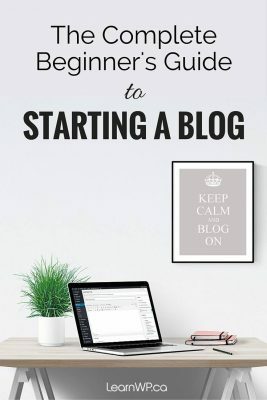 For a newbie user such as myself, they are a godsend, particularly because you advise about plugins which are useful and very easy to run for novices. Your warning messages are also very clear and specific so I feel confident when I run your suggestions. Again, I express my regrets that I am unable to attend your workshops which undoubtedly would be very valuable. Thanks for your comment Richard. We are always happy to hear that people are reading our posts and finding them to be helpful.